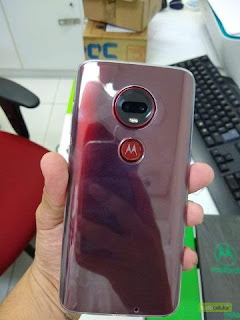 We know that the Lenovo owned Motorola is going to launch new four phones soon.Though there is no information about these phones yet, now the images of Moto G7 are leaked.With these leaked images,we have also gained some important features of Moto G7 Plus. 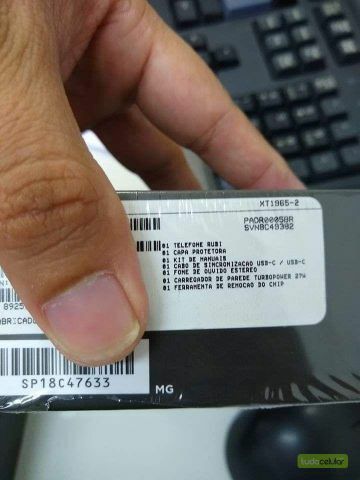 From the images we could confirm that the Moto G7 Plus will have 27W fast charging supported Type C cable inside the box.Its back panel houses dual camera set up with LED flash and Moto logo just below rear camera.At front we can see that there is minimally bezeled display with water drop style notch on its top of display. 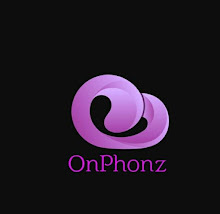 The expected features this phone includes 6.2 inch FHD plus full view display.It will be powered by 1.8GHz octa core processor along with 4GB RAM and 64GB internal storage.Its rear camera will.be equipped with 16MP+5MP shooter and front camera will feature 12MP snapper.The device will be pre installed with Android 9 Pie out of the box.